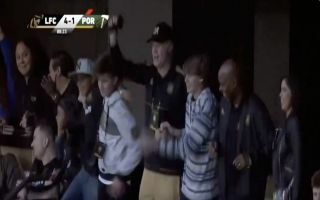 Los Angeles FC co-owner Will Ferrell was spotted going wild in the stands with supporters watching the team secure a 4-1 win on Sunday. LA strolled to a comfortable win over Portland to maintain their 100% start to the season and move into second place in the Western Conference. Hollywood superstar Will Ferrell was in attendance, a regular at matches since buying a stake in the MLS franchise back in 2016 and he was happy to join in with the crowd’s celebrations towards the end of the game. Ferrell was spotted singing and dancing with the fans around his owner’s box, clearly in a jubilant mood after enjoying another successful afternoon at the Banc of California Stadium. Check out a clip of Ferrell’s antics below, via Twitter. Chelsea’s Star Studded Celebrity Supporters Group!